Today, Pyle Audio, manufacturers of car and pro audio equipment, introduced the SurfSound-TALK. It’s a lightweight, user-friendly Bluetooth speaker/handset, offering high end performance in a portable and waterproof audio device. With the handset, users can connect and stream music, as well as take private phone calls in the beach, pool, jacuzzi, or shower. It’s available for $64.99 at www.PyleAudio.com. Amazon also started carrying the Surf-Sound in black and white for $57.55 and in blue for a couple more dollars. NEW YORK – August 29, 2013 – Pyle Audio, manufacturers of outdoor recreational sports gear and home, car and pro audio equipment, introduces the SurfSound-TALK . A lightweight, user-friendly Bluetooth speaker/handset, offering high end cellphone performance in a portable, waterproof audio device. 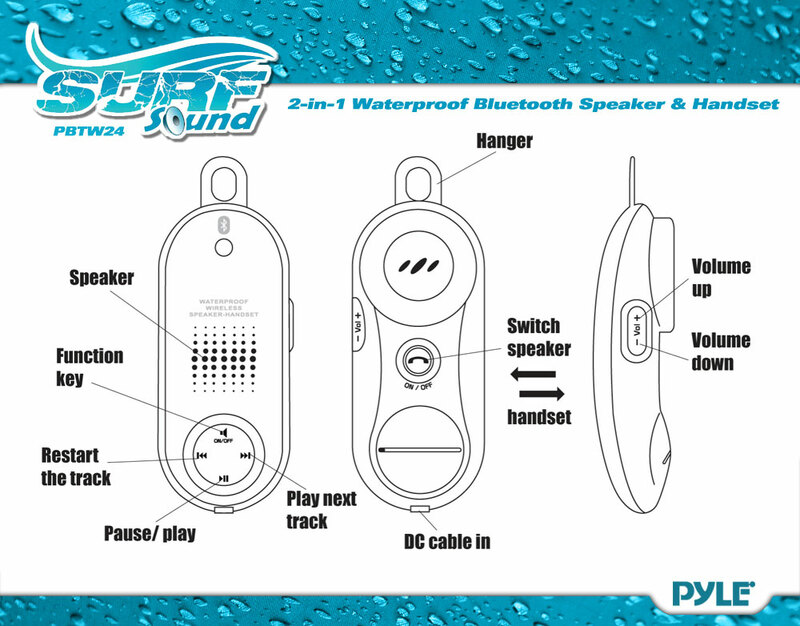 SurfSound-TALK users can connect and stream music, as well as take private phone calls with its waterproof handset. It’s available for $64.99 at www.PyleAudio.com. The innovative SurfSound-TALK meets IP-47 construction standards making it waterproof and dustproof, and includes a rechargeable battery which delivers up to 8 hours of continuous music or talk time. Its convenient telephone options allow users to answer calls with a handset or speaker phone using Bluetooth connectivity from your smartphone. Pyle allows users to keep their phone at a safe distance from the water, enabling volume control and song selection directly from the SurfSound-Talk. And compatibility with all Bluetooth devices provides the ultimate music playing experience from any MP3 Player, smartphone or tablet.